When it comes comes to ID fraud, the bad guys aren't this obvious. 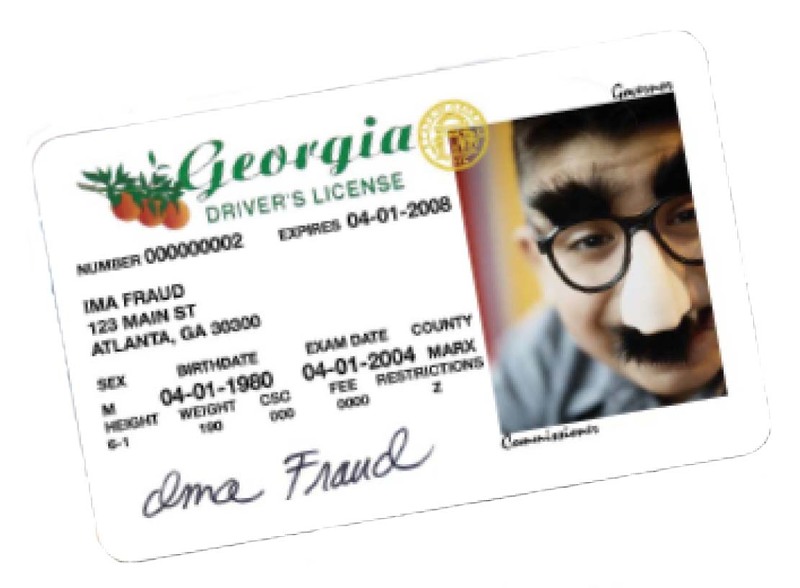 An online tool from the State of Georgia, LicenseMatch Gold provides a simple way – instantly – to stop anyone from using a fraudulent Georgia driver’s license or identification card to access services. And now, our enhanced service delivers more detailed search results and provides faster verification by significantly reducing data entry errors. Using a customized scanner, you simply swipe a driver’s license for data entry. This significantly reduces data entry errors and makes verification even faster. In addition to matching the license to state records, the results indicate the status of the license (suspended, revoked, etc. ).